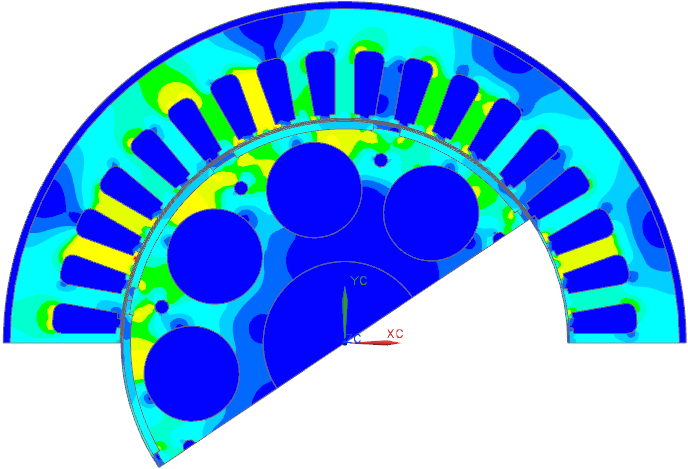 MAGNETICS for NX/Simcenter is a complete FEM simulation software package to solve electromagnetic analysis problems and adjacent disciplines: Structural, Thermal, .... It is fully integrated in the Siemens NX/Simcenter™ software system and used by industry and science. Development, support and distribution is achieved by Dr. Binde Ingenieure GmbH, solution partner of Siemens Industry Software GmbH. A well prepared set of solution sequences contains the full range of electromagnetic application cases: Magnetostatics, Magnetodynamics, Electrostatics, Electrodynamics, DC Conduction as well as Full Wave High Frequency solutions. from single physical models to coupled ones.